I shopped victoriously on eBay.com and this is one of my prizes,lol. eBay can be so addictive. I only paid 0.01 cent for this lighter, but the shipping was $5.99. Total $6.00. 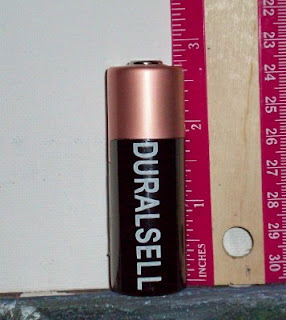 It was described as a C size battery, but it is not the size of a C battery. It is taller and skinner than a C battery. I still like though. 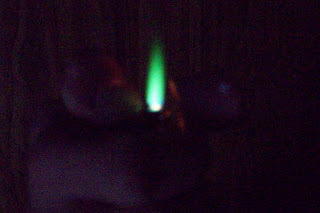 I love the green flame, I am told it happens because there is a piece of copper where the flame comes out. It has a sticker on it, as if it came from a store. The date on it is May 2005.